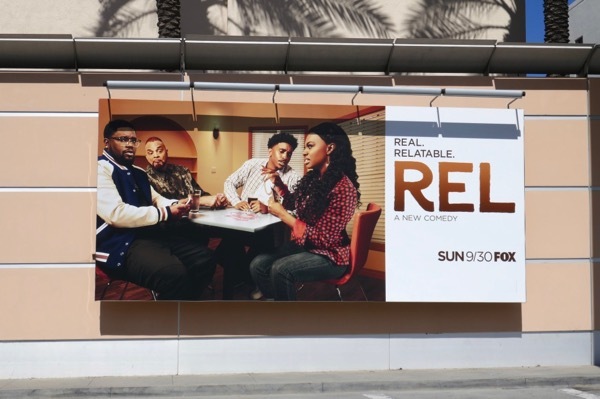 The sitcoms keep coming this fall TV season and after Single Parents, The Cool Kids, I Feel Bad, Happy Together and The Neighborhood, you can also add Rel to this autumn's offerings. 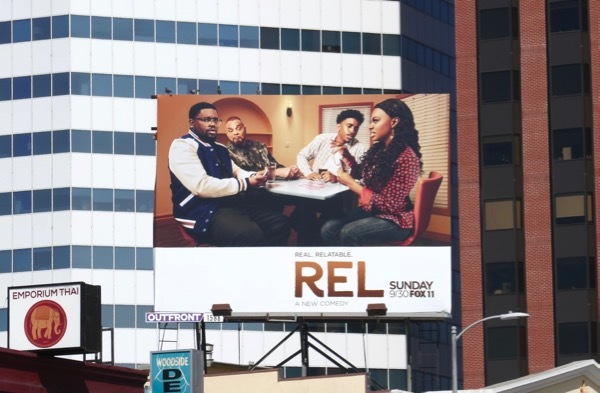 The series stars stand-up comic Lil Rel Howery and is inspired by his own life, he plays a husband and father living on the West Side of Chicago who finds out his wife has had an affair with his barber. 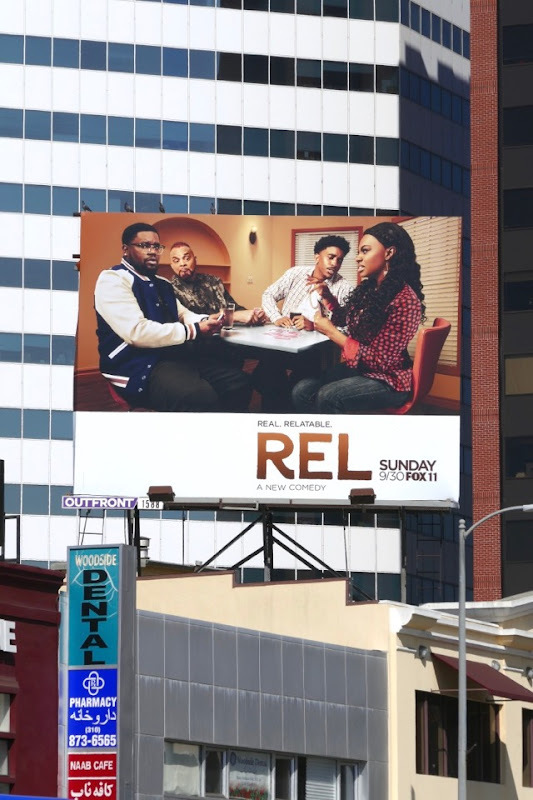 He tries to rebuild his life post-divorce as a long-distance father with the help of his best friend (Jess Hilarious), younger brother (Jordan L. Jones) and his recently widowed father (Sinbad). 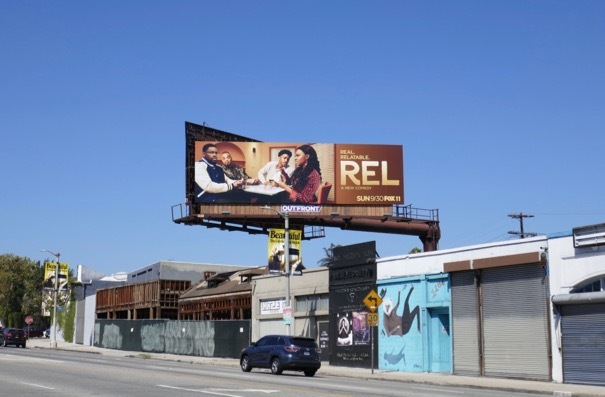 These series launch billboards were snapped along La Brea Avenue and Westwood Boulevard from August 23 to September 8, 2018. 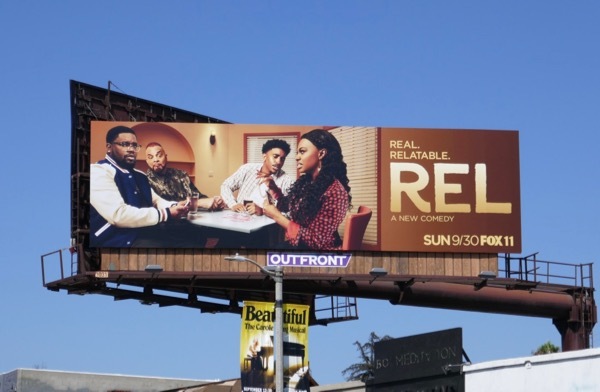 Let's hope this new comedy will be as real and relatable for viewers as the billboards suggest. UPDATED: Here's another billboard for the comedy spied at Fox Studios along Pico Boulevard on September 30, 2018.